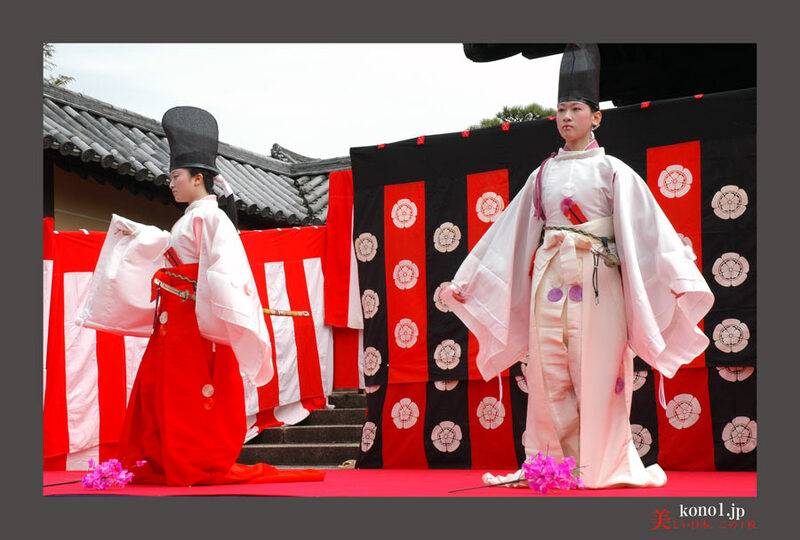 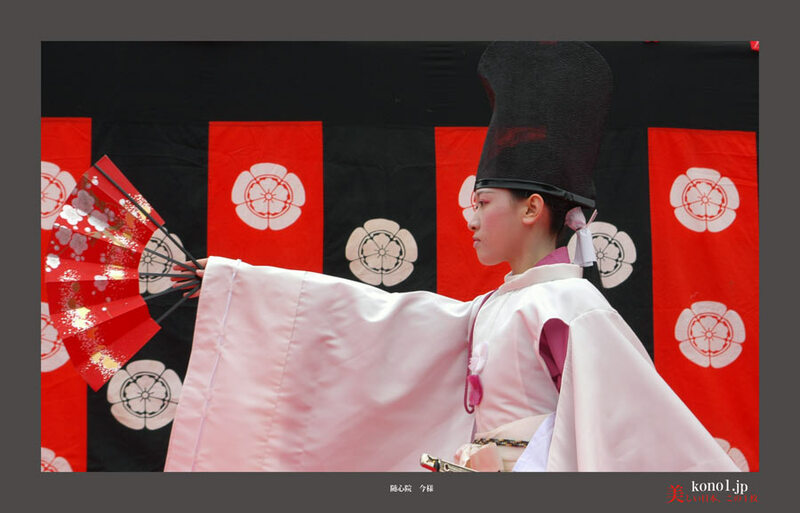 By the festival held at Zuishin-in　temple in March, “Imayo” and “Noh play” that are traditional arts of Japan are shown. 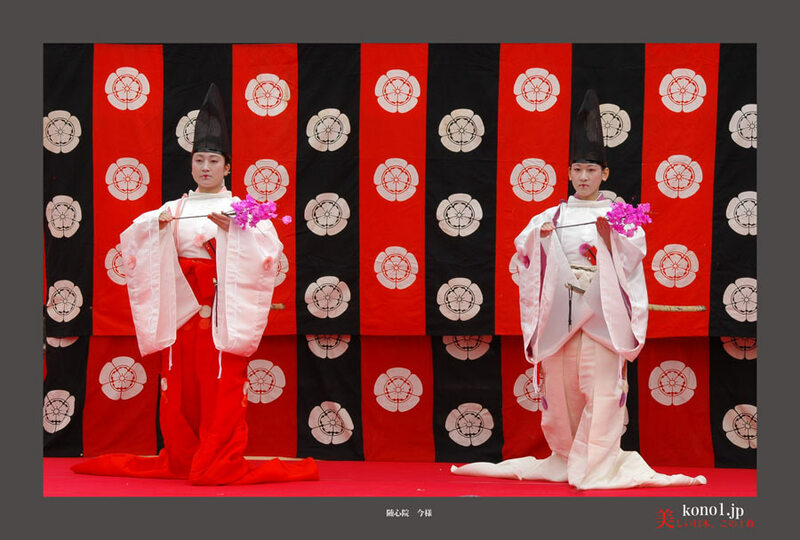 ”Imayo” is the modern song approximately 1,000 years ago that is a popular song. 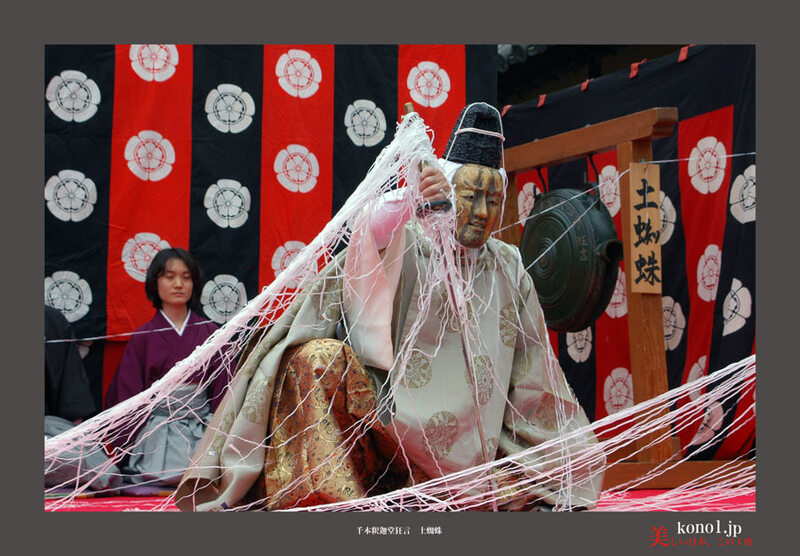 ”Noh play” is a play that attaches a mask and performs. 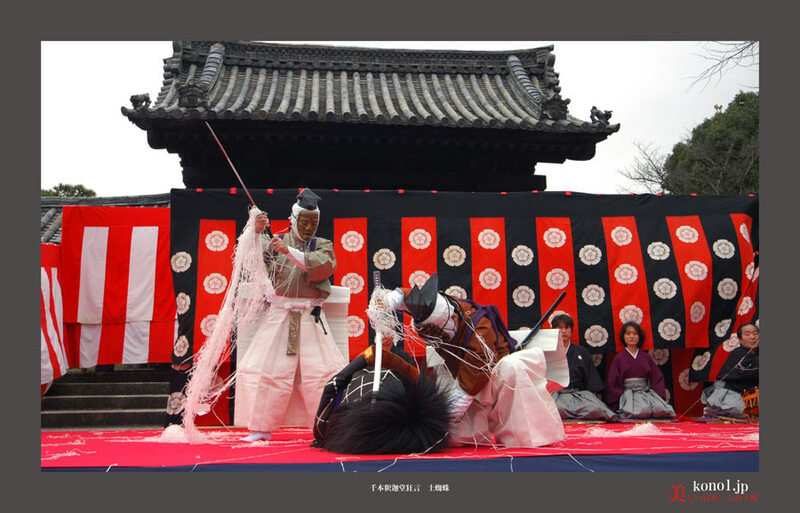 Tsuchigumo (spider) is the story that a samurai exterminates an ogre. 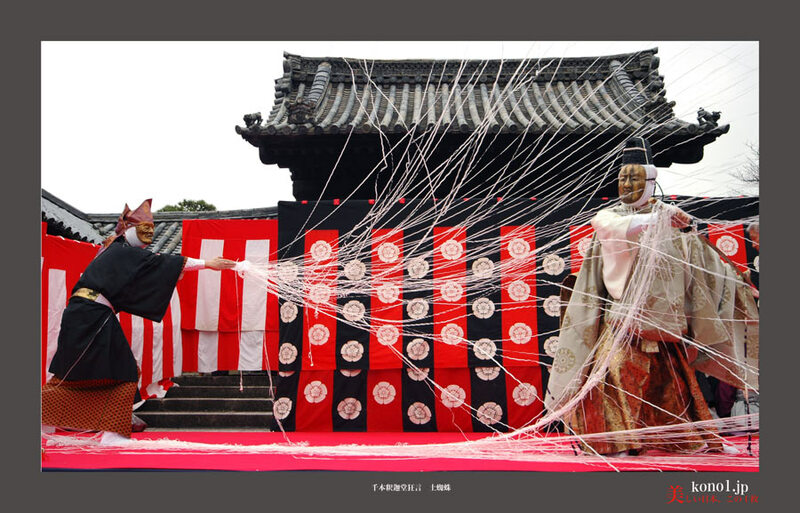 Tsuchigumo gives a spider line from a hand like Spider-Man.